We are always developing our skills so we can provide our clients with a modern and efficient service. With our extensive knowledge and being up to date with the latest techniques, we can provide you with a first class service and make even the hardest jobs seem simple. 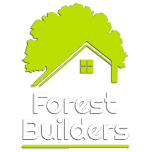 If you are looking for an Essex/London building company that have had many years of experience, are trustworthy and honest, then Forest Builders are the company to call. An empty loft that you no longer use to store your belongings in and has been empty for some time canbecome useful space with a loft conversion.